Those of you familiar with the English heart attack miracle and the English asthma miracle will have your suspicions raised by the words "more than expected". More than who expected? The answer, once again, is partisan researchers who pretend to have expected a worse outcome once all the data are in and their favoured policy has manifestly disappointed them by having no obvious impact. It's becoming the junk scientist's favourite way of rewriting history. The partisan researchers in this instance mostly hail from the University of Victoria's Centre for Addiction Research (and they work hand in glove with our own Sheffield-based minimum price propagandists). 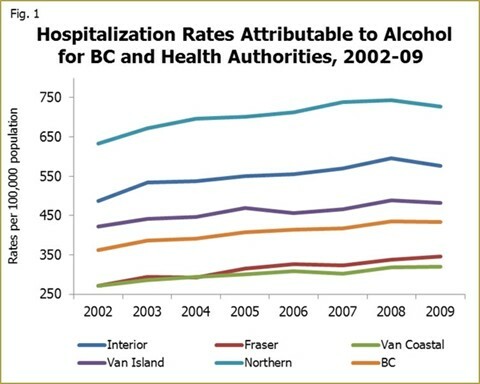 They claim that a 10% increase in the minimum price of alcohol led to a 32% reduction in alcohol-related deaths in British Columbia. British Columbia has had minimum pricing for many years and its minimum price for beer and spirits rose in 2004, 2006 and/or 2008. None of the rises exceeded 5%, so the estimate for a 10% rise is pure extrapolation. The 32% fall, meanwhile, is pure fantasy. We need go no further than the website of their own esteemed institution to get the real facts. 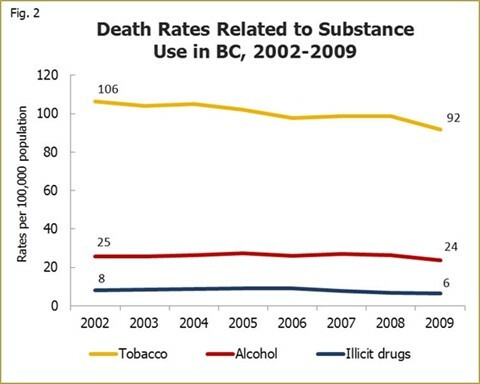 Here are the number of alcohol-related deaths in British Columbia between 2002 and 2009 (click to enlarge). The numbers rose in most years and no year saw a lower total than in 2002. From the same website, here is the alcohol-related mortality rate per 100,000 (red line). It has remained essentially flat throughout the period 2002-2009. 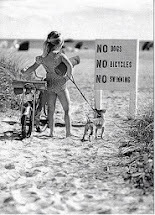 And what about hospitalisations that were attributable to alcohol? British Columbia is shown by the orange line. Nice steady rise there. It's also worth noting that the alcohol-related mortality rate in British Columbia—where they've had minimum pricing and a state run off licence monopoly for years—is 24 per 100,000, whereas in the UK—where we supposedly have a boozing epidemic—it is barely half of that: 13 per 100,000. Cheers! There is much more that could be said about this thinly veiled piece of lobbying. 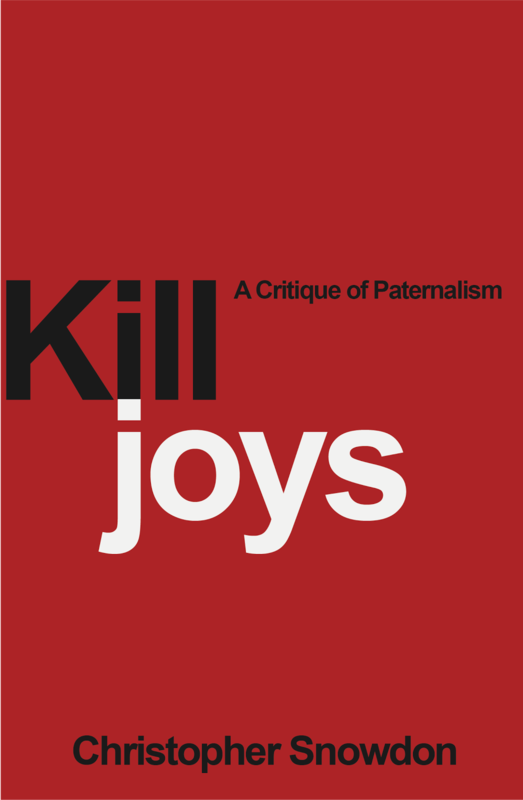 The inexplicable lack of a control group, for example, or the mystery of why official hospital records were not enough for the authors—instead they created their own "estimates" of how many people died. But the bottom line is that these people are lying with statistics. The result—and almost certainly the intention—of their study is to make people believe that fewer people died of alcohol-related diseases in British Columbia between 2002-09 as a result of minimum pricing. "Nearly a third" fewer in fact. 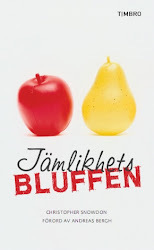 "This study adds to the scientific evidence that, despite popular opinion to the contrary, even the heaviest drinkers reduce their consumption when minimum alcohol prices increase. 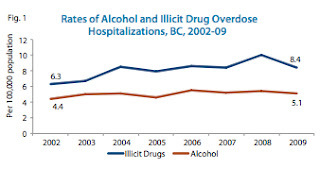 It is hard otherwise to explain the significant changes in alcohol-related deaths observed in British Columbia." 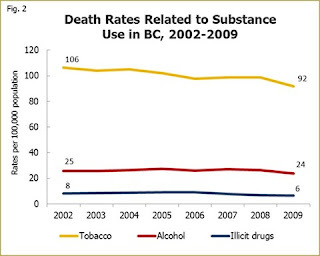 It is a bald-faced lie to say that there have been any "significant changes in alcohol-related deaths observed in British Columbia". The media will magnify this lie, usually unwittingly but never blamelessly. 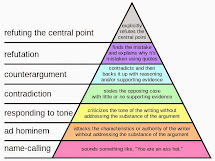 One wonders whether newspaper editors who publicise arrant nonsense of this sort on the basis that it has been peer-reviewed realise that they are abrogating their own responsibility in favour of an editorial system over which they have no control and of which they know nothing. Feel free to check the stats here. The Metro: free and yet still over-priced. 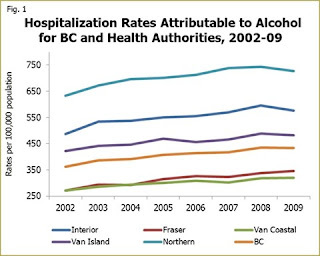 An interesting graph here shows the rate of hospitalisations for alcohol overdose in British Columbia. If these aren't "wholly attributable" alcohol cases, nothing is. You can see a modest rise over the period 2002-09 amounting to 16 per cent. There is evidence of increasing trends of both alcohol and illicit drug overdose events in BC. ... you'll have saved the world. Great article Chris. Appears to have had at least some effect. Letter in the Scotsman pointing out these statistics. That journalists continually deride those they call "bloggers" is now laughable. Not one journalist in the UK mainstream press or broadcast media could be bothered with a dozen mouse clicks to check the alcohol harm statistics for BC.